Yo baby mamas! Here are my TOP TEN must have for baby! 1. Boon High Chair! Comes in other colors too – best price on amazon – love this chair and SO easy to clean! 2. Rock and play sleeper – small and easy and perfect for a newborn! 3. 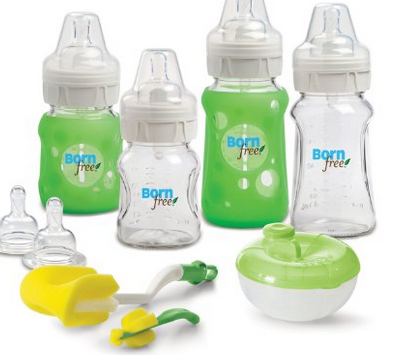 Born Free bottles – my all time favorite baby bottles. Starter pack is the perfect set! 4. And with all those bottles, you are going to need a fab drying rack – this one is awesome! 5. Aden and Anais swaddles and burp clothes are hands down the best!!!! 6. The Honest Company set! A must have! 7. 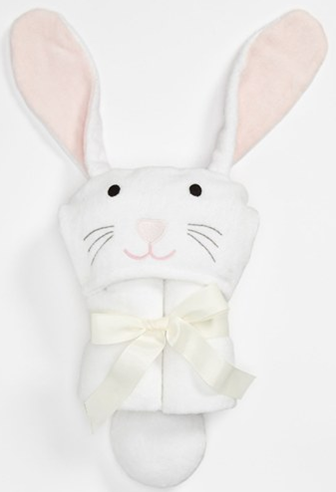 How adorable is this Bunny Bath towel? So soft! Comes in many animals and colors and only $29.50! 8. The perfect diaper bag! by Marc Jacobs. 9. The Uppa Baby Cruz stroller is a great price point (under $500)! Comes in many colors! Also love the Uppa Baby Vista (comes with bassinet). 10. A must have play mat! Only $45!